Made of high quality materials, Ram Jewelry has so many necklace designs. You'll be able to create endless, unique looks to suit your style. We love how Quielle's necklaces are so detailed! Just look at how complex the sun and moon are below. Calling all beach babies! 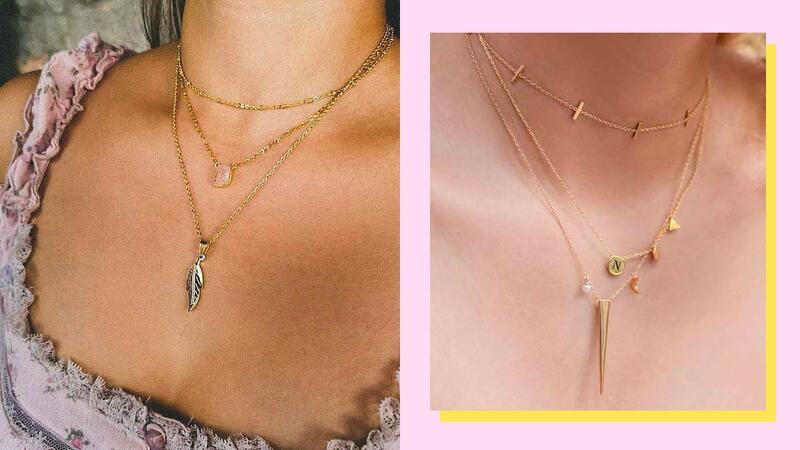 Heyjow's necklaces will speak to your summery aesthetic with their seashell-, pearl-, and sea-inspired creations. Lily has necklaces with adjustable lengths so you can "tailor" them for when you're at the beach, going to work, or going someplace ~*fancy*~. Unearthed's gorgeous pieces are all inspired by nature and the Earth! For those of you who like crystals in your jewelry, this is the place to get them. OWL's necklaces can be worn anytime, anywhere! Their aesthetic is all about being timeless so you can be sure they'll never go out of style. While HEY FRANKIE is more famous for their show-stopping earrings, their necklaces deserve a look, too. The simplicity of their sytle make their pieces super versatile to wear!